Urge your Senators to show their support for healthy beaches and robust coastal economies by co-sponsoring the Clean Coastal Environment & Public Health Act of 2011. Don’t let them put this off for yet another year! 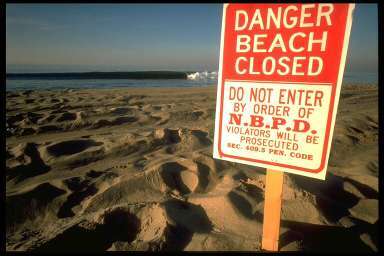 Click here: A New Beach Bill in the Senate | Surfrider Foundation. Join the campaign to protect Puget Sound! Rain garden planning for Seattle / Puget Sound; Prevent flooding and reduce water pollution. Washington State University and Stewardship Partners are leading the groundbreaking campaign to install 12,000 Rain Gardens in the Puget Sound Region by 2016. Help your community save millions of dollars in pollution clean-up and expensive stormwater projects. Rain Gardens work like a native forest by capturing and infiltrating polluted runoff from rooftops, driveways, and other hard surfaces. 12,000 Rain Gardens would soak up 160 million gallons of polluted runoff to protect our waterways, significantly helping stop the stormwater crisis that is threatening our waterways. Disclaimer: Washington State University does not verify the accuracy of this information and does not endorse the work of any of the designers or installers. Information on designing and installing rain gardens can be found on theHomeowner Resources page. Here is what we did at the Ferry Landing to date. From 10 am to noon all through May. Meet in the New Ferry Parking Lot. 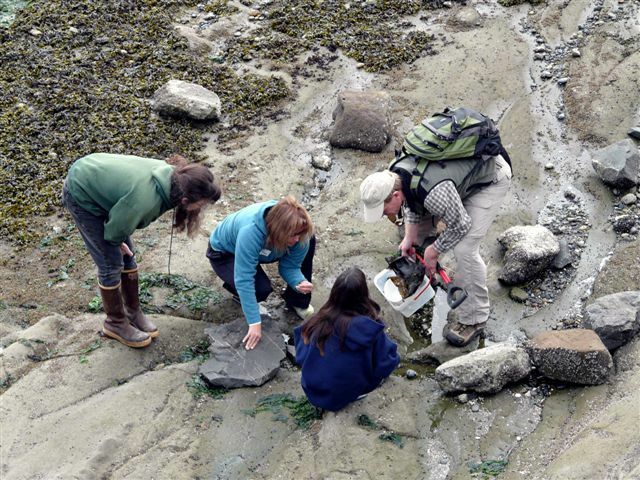 Want to do some fun work and help enhance Lummi Island’s marine waters and public tidelands? 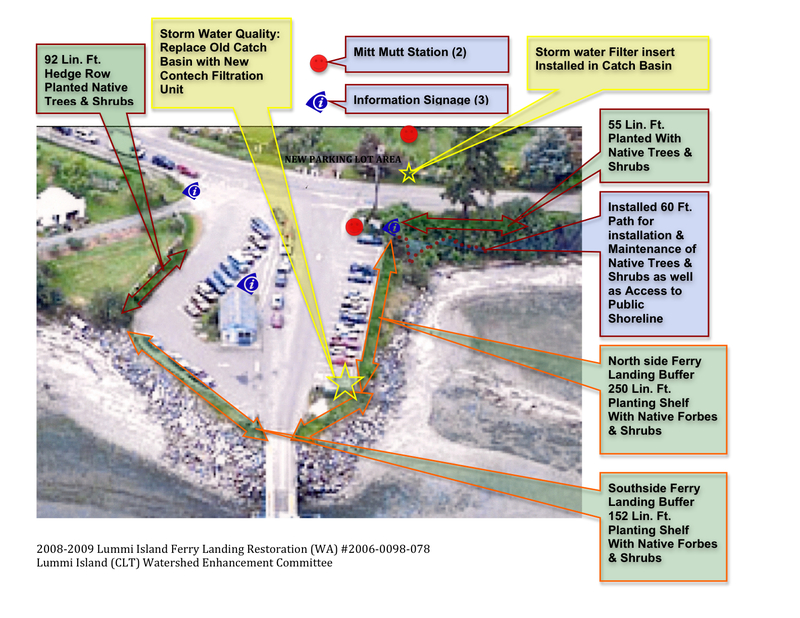 Come help us start work on our Nearshore Enhancement Project! We could use some new inspiration and some fresh volunteer enthusiasm for our National Fish and Wildlife Foundation grant funded Project. This Saturday, May 2nd we will be removing noxious weeds and preparing planting areas along the South face of the ferry landing. Hopefully we’ll be ready for planting by next Thursday. The next few Saturday and Thursday mornings volunteer crews will remove noxious weeds, prepare planting areas including erosion control and install native plants along the Northern bluff areas around the ferry terminal and shoreline to the north. • Remove noxious weeds, install approx. 2,000 native plants along the bluff areas around the ferry terminal and shoreline to the north. • Install 1 mutt mitt station with signage at a location approved by Whatcom County. • Remove rough creosote logs from the northern shoreline. • Install pretreatment bays and an oil/grease separator to the rain gardens in the new ferry terminal parking lot. 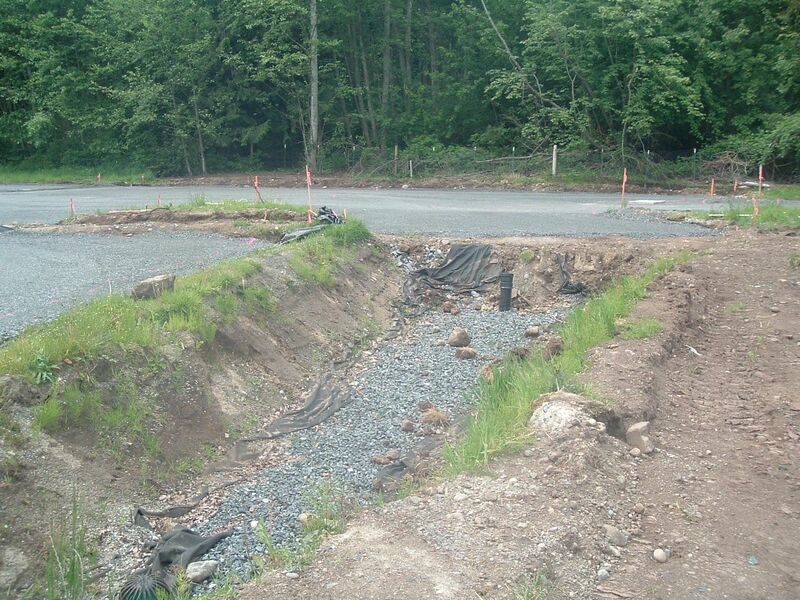 • Install bio-infiltration measures along the wetland path north of the new parking lot. • Install and maintain a Bio-clean catch basin insert in the catch basin immediately north of the southern entrance to the new ferry terminal parking lot. Also, Whatcom County Public Works Dept. will assist us in replacing the catch basin in the northeast corner of the ferry terminal with a new Contech filtration system. They will cost share, install the unit, and maintain it in perpetuity. 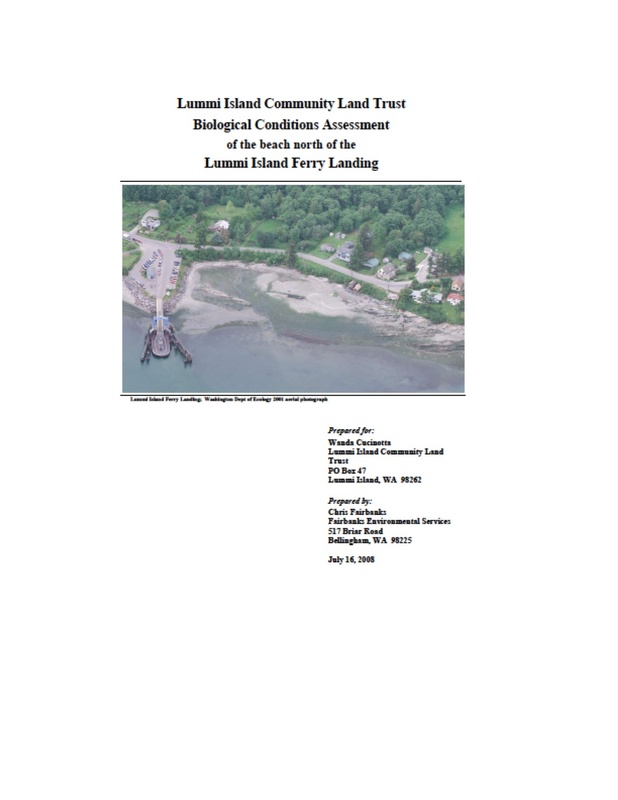 Our goal is to restore and enhance marine habitats, reduce water pollution and secure the eroding shoreline bank on the County owned property around the Lummi Island ferry landing. We appreciate your cooperation during the installation phase of our project and apologize for any inconvenience.. We will need to reserve 1 or 2 parking areas from time to time this spring. We may also need to divert traffic along Nugent Road for a few short periods.